← One more simple question . . . 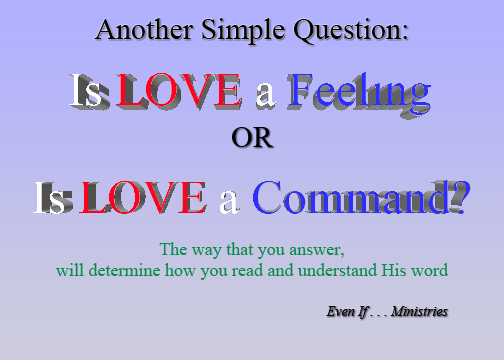 This entry was posted in "Simple Question" posters and tagged Adonai, bible, Christian, command, even if, feeling, God, Jesus, love, Messianic, Yeshua. Bookmark the permalink.